A Hearty Meal, and It’s Healthy Too! 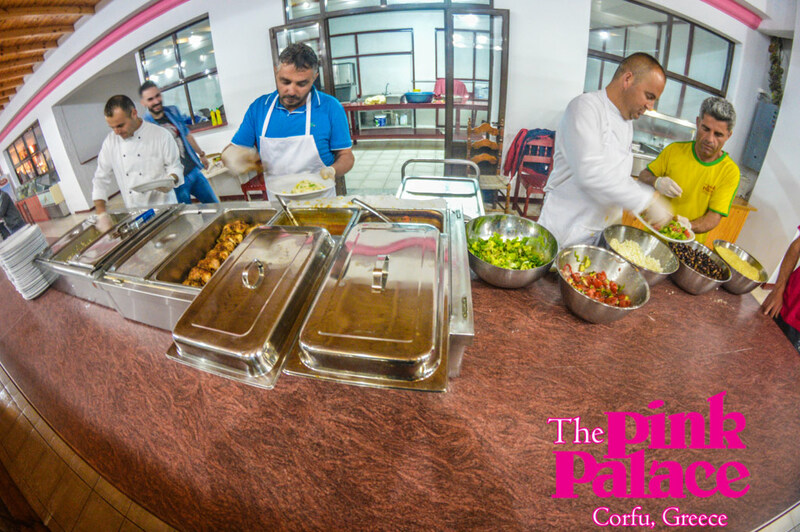 The Pink Palace is one of the few Youth Hostels which offers guests a complete meal package with daily breakfast and options for lunch and dinner included in the price. 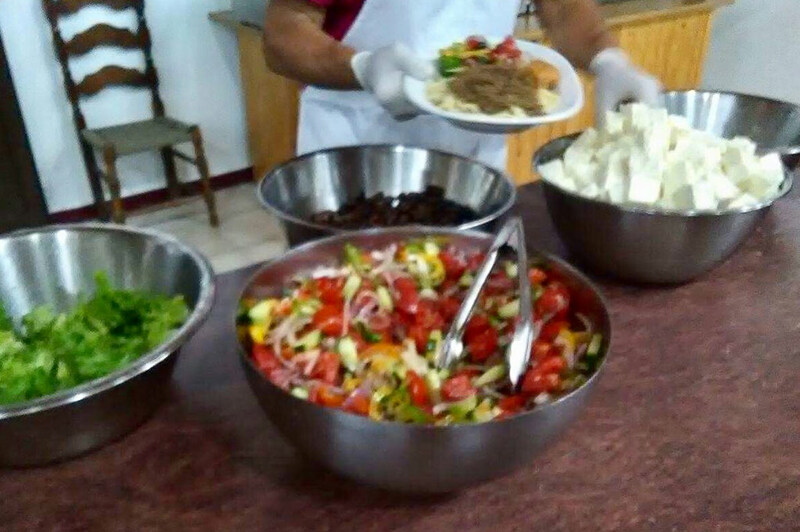 With a buffet breakfast, a-la-carte menu at lunch, and plated dinners each night, we serve both international favourites and amazing Greek-inspired dishes made fresh for you! 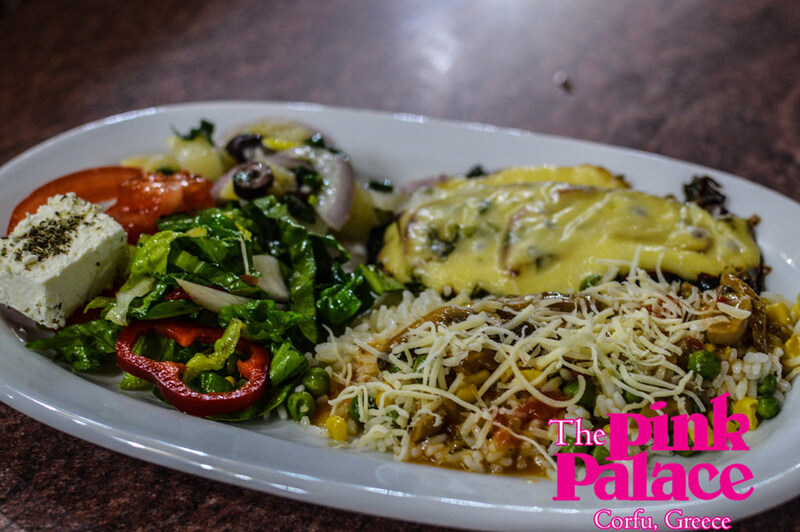 We know young travellers on a budget don’t always splurge on healthy meals, which is why we do our best to keep your tummies full of nutritious food. Traditional Mediterranean ingredients are used a lot in our kitchen, as the health benefits are essential for a well-balanced diet. 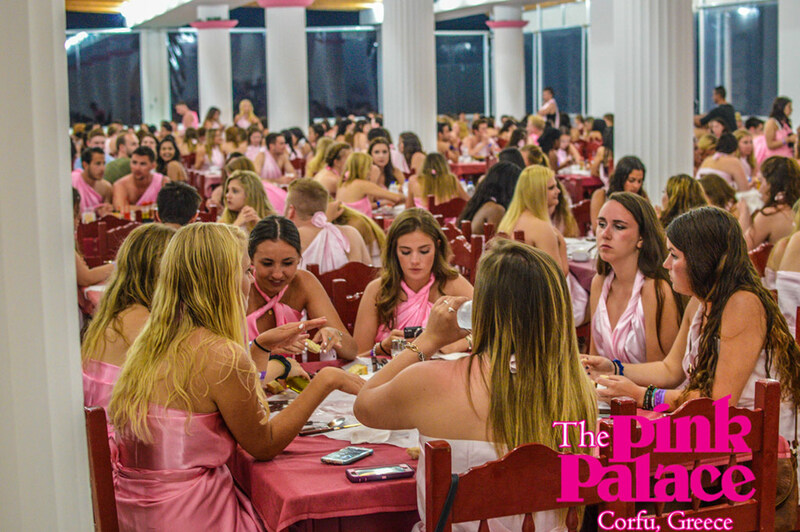 So what typical ingredients can you expect to see on your plate when you dine at The Pink Palace? Here’s a few along with their health benefits- especially for those party guests who need their vitamins while spending months away from home! Olives are present at all of our meals times- even at breakfast they go great with some greasy eggs and bacon! These babies are jam-packed with antioxidant and anti-inflammatory nutrients, It’s no surprise; you wonder how our staff remains fit and youthful. They have also been associated in studies to reduce the risk of cancer and osteoporosis, as they are a staple in many Mediterranean Diets. Our healthy and hard-working elders can vouch for this! It’s hot out there, and these will help you stay hydrated. The familiar expression “cool as a cucumber” is true, as they are made of water as well as essential vitamins. During the summertime in Corfu we reach temperatures over 30 degrees Celsius, so eating cucumbers during the day will help you cool down. The outer skin is rich in fibre to aid with digestion, and the fruit is known to do wonders for the skin. Reports from Ancient Greece state that a physician named Hippocrates used fruit-dried vinegars as a natural medicine to treat physical wounds, coughs and other common ailments. Today, the benefits of vinegar have been proven to lower blood sugar and cholesterol levels. Go ahead, treat yourself to one of Dr. George’s ice creams after dinner- just boost your main course with some vinegar! The secret ingredient which makes every savoury dish delicious; garlic not only adds flavour to our meals but is also contains nutritional benefits. Perhaps the most unique one which is helpful for travellers is its aid to combat the common cold. When travelling from place to place and changes in climate, the body often gets run down and it’s not uncommon to develop flu-like symptoms. Garlic can boost your immune system and keep you feeling up for the party vibe during your stay with us. Just be sure to carry some mints if you plan on getting close on the dance floor with other guests! Around here, we use Tzatziki to accompany many dishes on our lunch menu and at dinner. A combination of the super foods, the traditional Greek dip is made of yogurt with cucumbers, garlic, salt, olive oil, vinegar and herbs. 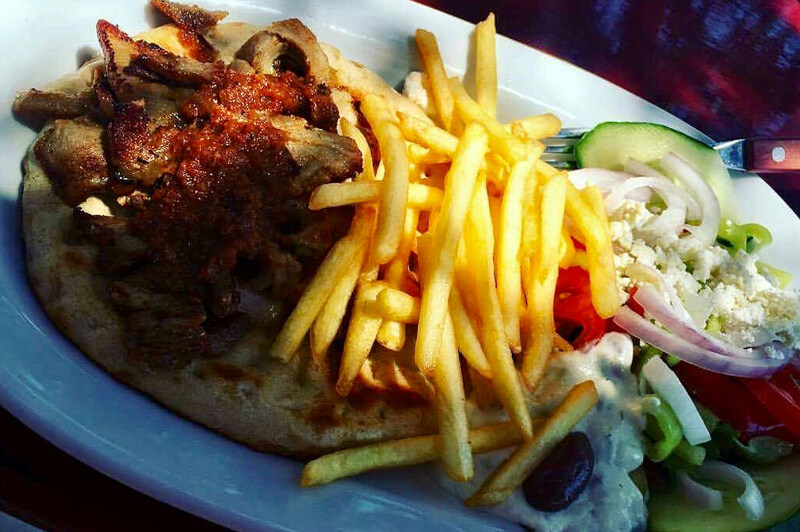 It’s a delicious addition to a main course such as gyros or kebabs or in a wrap at lunch time. We also have it available to snack on with pita as a much healthier alternative to your traditional junk-food like “chips and dip”. You’ll notice at breakfast we serve large chunks of juicy watermelon. These are a favourite of guests after a night partying, and it’s no surprise…the hydrating fruit are a cure for muscle soreness. They’re also a Greek beauty secret. Watermelon is known to do wonders for the skin, hair growth, and contains antioxidants to keep us youthful. Be sure to make room for these on your tray along with your fried eggs and bacon.